A journey designed with peace and tranquility, keeping in mind our commitment to protect the environment. Allow us to weave your perfect moment on Waiheke Island combining delicious wines from one of the best wine growing regions in the world, stunning organic 'garden to table' fresh cuisine, award winning olive oils, pristine beaches, sunsets to sip wine to - all woven into a picture that is environmentally sensitive, leaving our stunning pure environment as we found it and working with the Waiheke Island community to further reduce our environmental footprint. Waiheke is the home of some of New Zealand’s finest Syrah and Bordeaux blend wines. The vineyards are boutique in size and offer a great diversity of wines, tourist and epicurean experiences which are easily accessible on this relatively small island. Be greeted by your personal concierge at Auckland International Airport. 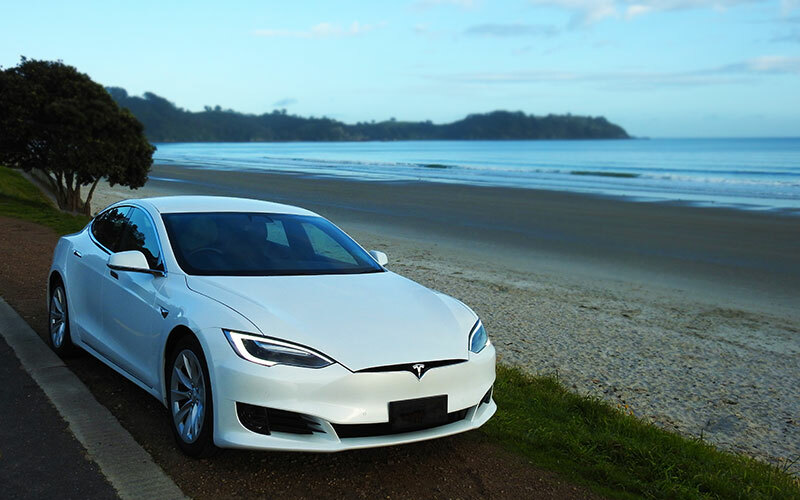 Sail with your concierge to Waiheke Island where your luxury electric Tesla awaits. 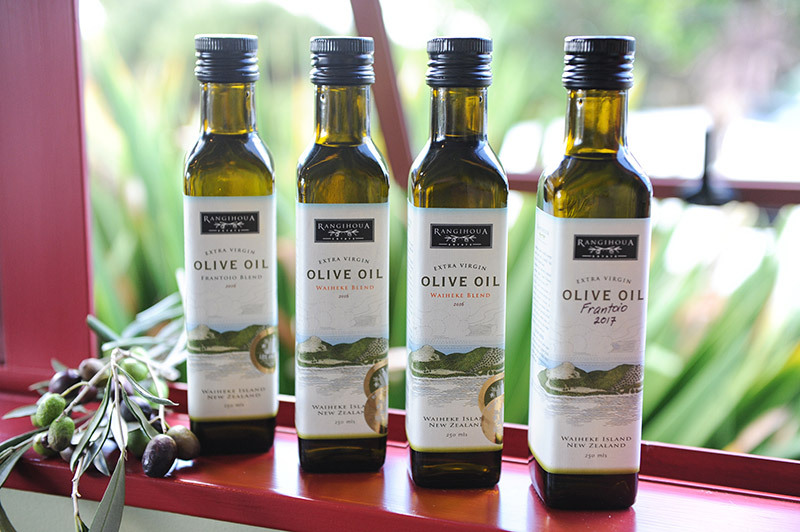 Nestled in the Hauraki Gulf of Auckland and with a climate well suited to cultivating Bordeaux, Chardonnay and Sauvignon Blanc varieties, Waiheke Island is also known for its fresh oysters and award winning olive oils. A stunning paradise with properties owned by well known millionaire celebrities, Waiheke Island has managed to retain its bohemian funky character. We glide our way to our private, secluded luxury Te Whau lodge in our eco-friendly car. Relax with refreshments as you enjoy the stunning views and sounds of the native birds from your deck overlooking the blue waters of the Hauraki Gulf. At Te Whau, we work hard to be Eco-sensitive and to reduce our carbon footprint. The construction materials are wood to maximize warmth and minimize the cold thereby reducing the energy requirement. The cleaning products used are biodegradable and eco-friendly. The garden has been developed using as close to organic ingredients as possible. All water is natural and waste grey water is treated and released back to the land. 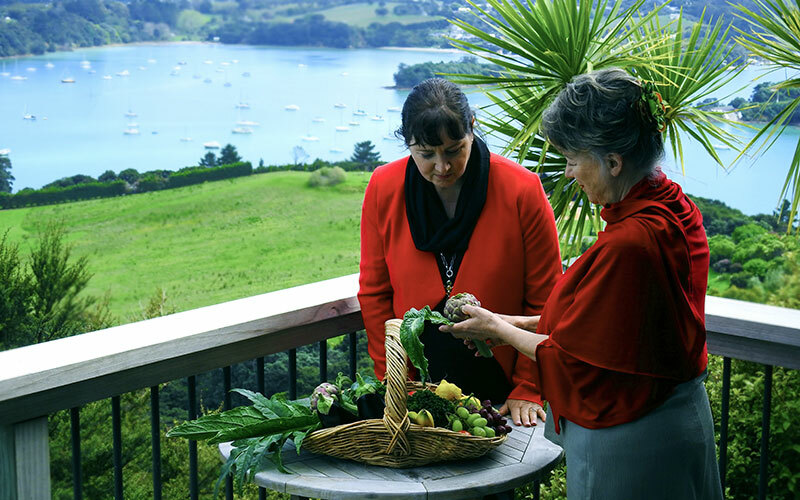 Now that you are refreshed, Julie Biuso, New Zealand food personality and Waiheke resident, will greet you at your lodge and begin your Waiheke Island immersion. Julie is one of New Zealand’s best known and respected food personalities, with 16 cookbooks to her name, numerous appearances on radio and TV and more than 30 years as a popular magazine food editor. 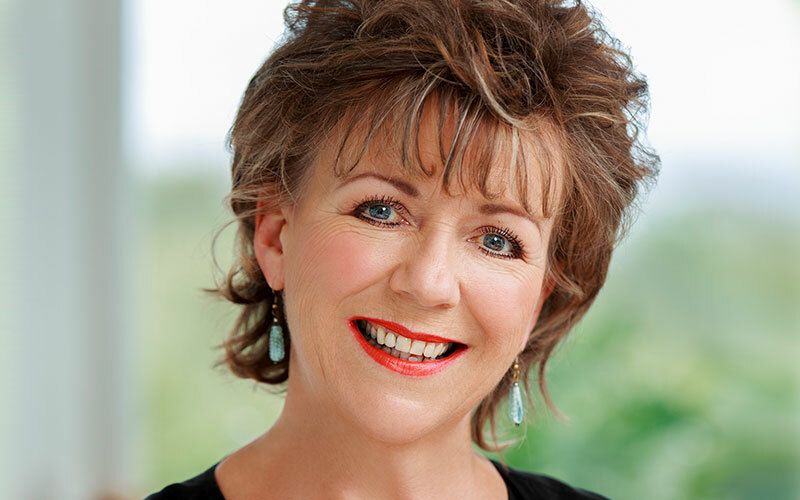 Julie will show you her favourite food and wine establishments. Gather fresh organic ingredients - the best fish, oysters and meats for your own culinary story that Julie will create for you in the evening. Now it's time for wine! 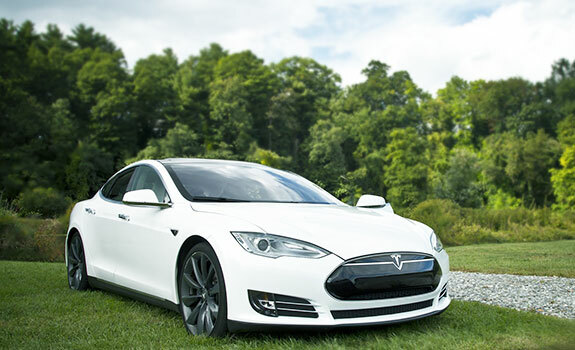 We will drive you in your Tesla so you can sit back, relax and enjoy wine tasting some of the best varieties on Waiheke Island. See the detailed wine list below. 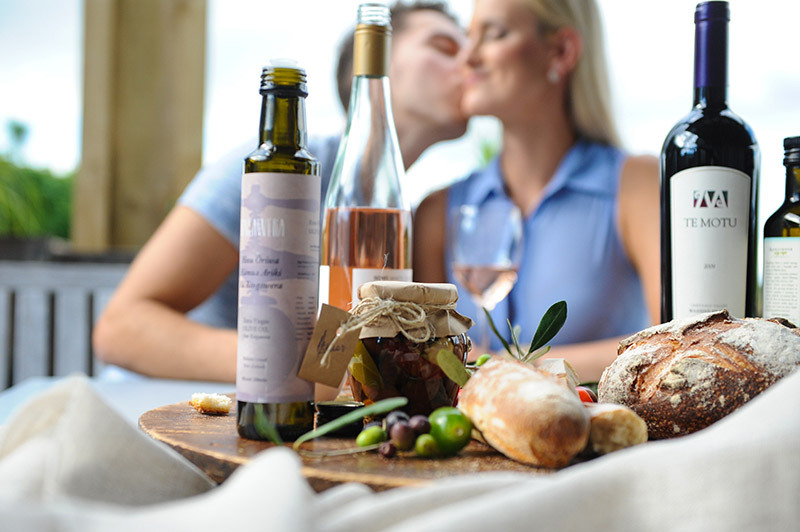 Enjoy time on your own together to sample and learn the story of the wine at two or three Waiheke vineyards. Return to your lodge late afternoon for time to relax before an evening of togetherness with stunning views and the perfect dinner and matched wines. 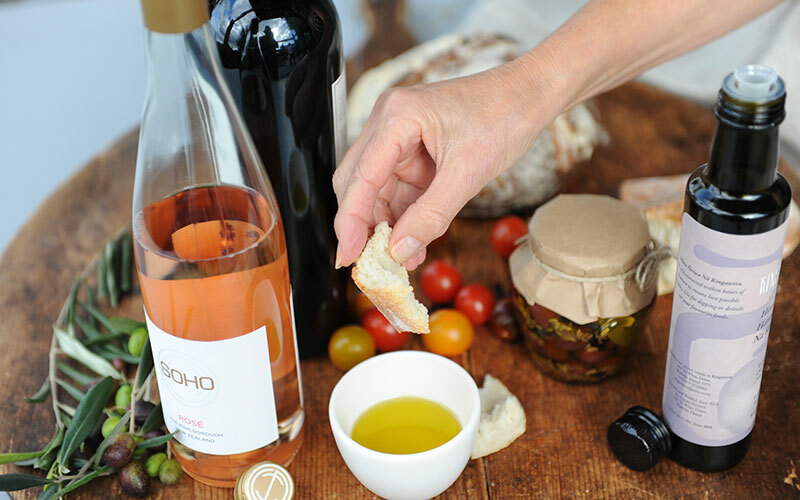 Enjoy each course of freshly prepared ingredients chosen by you with the wine that you enjoyed earlier on your food foraging journey. As an environmentally sensitive experience, we do our best to support Community driven groups on the island such as Kai Conscious Café to reduce food waste. Awaken to a delicious handmade breakfast in your stunning architect designed eco lodge where everything is thought out in an ongoing goal to be as sustainable as possible. Meet Andrew, your eco Segway host and feel the wind through your hair as you take the Segways around some of the most stunning locations on the island. Return for your free afternoon of activities depending on your level of energy - choose to sit and read your favourite novel or go for some adventure with the many things we can arrange for you. Choose a late checkout or enjoy a second overnight stay to linger on this magical Waiheke Island - your choice, your experience, your wish, our pleasure. 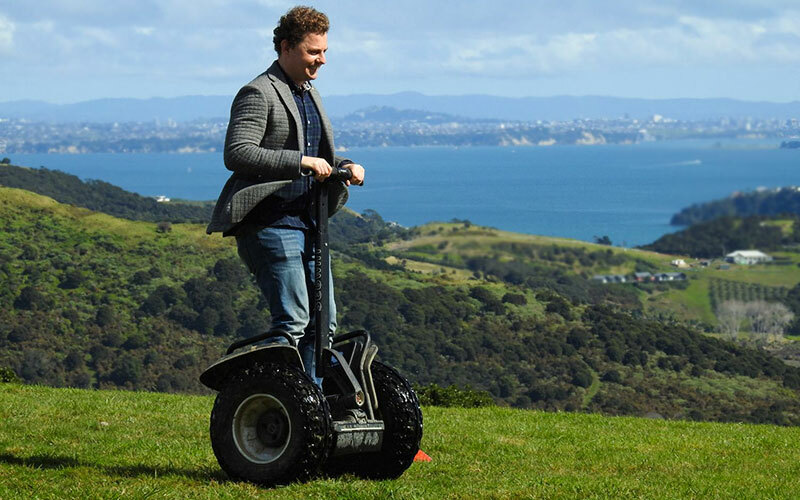 Take a stunning drive with in-vehicle directions programmed to take you directly to our Waiheke Segway expert, Andrew. Andrew knows exactly the best way for you to see the island and feel the salt air in your hair. An activity to stretch the legs and feel, taste and smell the island at it's best getting up close and personal with the beaches, native bush and discovering a whole private world that only the locals know about. Anyone with a small amount of fitness can handle a segway and with the expert and private guidance of Andrew you will love the fresh outdoor feel of the island. Distill your own botanical Gin & Tonic - Introducing you to twelve botanical ingredients that are used in a classic gin. You will taste, chew, crunch and smell your way through a very hands-on experience. We will take you through their history and how they have been used through time. Then there will be some wildcards – something unique, unusual and unexpected to try. These will give your gin a unique flavour that will make it specific for you. A private viewing with Julie Biuso at Rangihoua Estate makes a great highlight to your time on Waiheke Island with us. Come with Julie and Anne to view the olive trees before having a demonstration of the harvesting techniques in the making of this award winning Extra Virgin Olive Oil and learn about the qualities of Rangihoua’s Olive Oil.Taste, smell and choose some of the world’s best Extra Virgin Olive Oils and let Julie use them to flavour your evening cuisine. Awaroa Vineyard – The organic Awaroa vineyards lie on west-facing slopes among native bush in the middle of Waiheke Island. Syrah and Cabernet Sauvignon are the main varieties planted. Batch Winery - Waiheke's newest hi-tech winery is located at the highest vineyard with views from Coromandel to the Sky Tower. Batch wine portfolio includes Flora, Pinot Gris, Cabernet Sauvignon and Syrah. Batch's 'Fizz' sparkling wine range, made and bottled on site, includes Fizz Rose, Fizz Chardonnay and Fizz Riesling. Cable Bay Vineyards – Cable Bay Vineyard makes wines from grapes grown on Waiheke Island and in Marlborough. Varieties grown include Gewürztraminer, Sauvignon blanc, Pinot noir, Chardonnay, Merlot, Malbec and Cabernet sauvignon. Destiny Bay Vineyards – Destiny Bay is Waiheke Island's only Cabernet blend specialist and its first fully certified sustainable winery. The 2007 Magna Praemia is New Zealand's highest-rated wine by an international critic and received 98/100 points from Anthony Dias Blue. Magna Praemia is also New Zealand's most expensive wine. Edbrooke Vineyard – Jeremy Edbrooke has over 7 acres planted in Merlot, Cabernet Franc, Chardonnay and Pinot gris which are supplied to Waiheke Island's Passage Rock Wines. Fenton Estate – First planted in 1989, Fenton Twin Bays Vineyard is a north-facing property that spans two small bays separated by a peninsula. Goldwater Estate – Begun by pioneering Waiheke winemakers Kim and Jeanette Goldwater, Goldwater Estate was among the first wine making operations on Waiheke. Its awards  include being named 'Winery of the Year' by Wines and Spirits Magazine in 2001. Jurassic Ridge – Jurassic Ridge is a small, family-owned vineyard and winery, named for the surrounding geology. It produces hand-crafted Syrah, Montepulciano, Pinot gris and Cabernet Franc. Jurassic greywacke soils are a major feature of the terroir. Kennedy Point Vineyard – Kennedy Point Vineyard was established in 1996 and is the only certified organic vineyard on Waiheke and can be found on the southwestern side of the island. It specializes in growing and producing Bordeaux and Syrah wines. Man o'War – Situated at the northern end of Waiheke Island, the Man o'War vineyards are planted on numerous small sites on the 5,000-acre Man o'War farm. Miro Vineyard – Miro Vineyard produces two wines, both red Bordeaux blends. The vineyard overlooks the ocean at Onetangi Beach. Mudbrick Vineyard – Mudbrick is one of Waiheke's best known wineries and has a Provence-style restaurant made of mudbrick. The vineyard produces Merlot, Chardonnay, Cabernet Sauvignon, and Syrah grapes. Obsidian Vineyard – Obsidian Vineyard in Onetangi. It is a 17-hectare property established in 1993. Obsidian, its flagship wine, is a blend of Cabernet Sauvignon, Merlot, Cabernet Franc and Malbec. Its other label is "Weeping Sands" (the translation of "Onetangi"). In 2007 Obsidian won a trophy and gold medal at the Romeo Bragato National Wine Competition for its first release of the Montepulciano variety. Passage Rock Wines – Passage Rock Vineyard is at the eastern end of Waiheke Island at the head of Te Matuku Bay. Its first vines were planted in 1994. Peacock Sky – Peacock Sky Vineyard is located in the centre of Waiheke Island with views across the Hauraki Gulf to Auckland. Peninsula Estate - on Hakaimango Point was planted in 1986/87. These original plantings of Cabernet Sauvignon, Cabernet Franc, Merlot and Malbec have been added to with Chardonnay and Syrah. Poderi Crisci Estate - a taste of Italy on Waiheke Island and pictured here. Stony Batter Estate – Stony Batter Estate, the island's largest vineyard, is at the north-eastern corner of the island. Stonyridge Vineyard – Stonyridge was founded in 1981 in the Onetangi Valley. Specializing in Bordeaux-style reds, the vineyard's most famous wine is its Stonyridge Larose. Te Motu Vineyard – Te Motu Vineyard was established in the Onetangi Valley in 1989. The first vintage was produced in 1993. The Hay Paddock – This 12-acre (49,000 m2), stone-walled vineyard on Seaview Road is planted in Syrah vines sourced from the Hermitage AOC region of the Rhone Valley. Cellar-aged collector wines are released under the Harvest Man and Hay Paddock labels. View East Vineyard – A boutique vineyard on the south eastern corner of Waiheke Island specializing in Syrah. Julie Biuso, one of New Zealand’s best known and highly respected food personalities, has written 16 cookbooks, appeared in numerous food shows on radio and TV, and has enjoyed 30+ years as a popular magazine food editor. Julie trained and taught at Le Cordon Bleu London and is an Ambassador for Le Cordon Bleu Institute New Zealand and the New Zealand Farmers’ Market Association. Aroha is often translated as “Love”, but the full meaning of the word encompasses all of the five senses, the ego and also intellect, and cannot be contained in just one word. In Maori, aroha encompasses the breath of life and the creative force of the spirit, and it assumes that the universe is abundant and that there are more opportunities than people. It seeks and draws out the best in people, it rejects greed, aggression and ignorance and instead encourages actions that are generous. At Love My New Zealand, the value of the experience we bring you is vital to our continual well-being as a company. We want you to enjoy each and every moment. That is why you will find a beautiful, 100% pure merino wrap in your chosen colour waiting for you in your luxury Tesla - perfect for travelling around New Zealand. It will keep the west wind from your shoulders as you sip wine in the sunset. 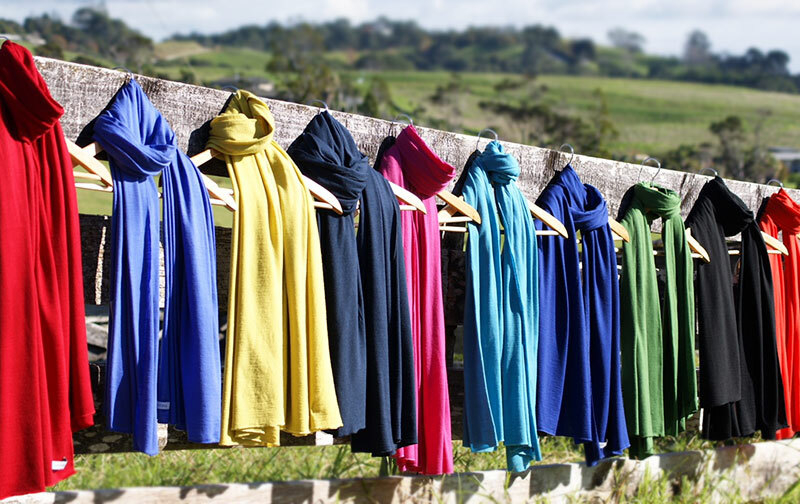 For men, we gift a scarf of the same pure 100% merino wool to tuck around your shoulders as you stroll along a beach. Each experience is personal to you and is costed according to your requirements. enquire for pricing details.